I love this recipe. I change the ingredients a bit to make them healthier. First, I use whole wheat flour as opposed to normal bleached baking flour. I melt two cups of pure butter (decalcifies the pineal gland!) and add the sugar (I use pure cane sugar) and brown sugar til it makes a sludgy-delicious looking mess. I also double or triple the vanilla extract as this recipe suggests. I’ve definitely noticed that refrigerating the dough before baking gives me more control over the size and shape of the cookies. Glad I found your site (from a lifehacker comment thread) and the fact that you linked my favorite chocolate chip cookie recipe as the first post is awesome. Hi Shane…I appreciate the comments. Next time I make them, I’ll try doubling up on the vanilla. You’re right about refrigerating the dough…it does help in the shaping. I also freeze some dough in a log-shape (wrapped in plastic wrap and shaped like the refrigerated ones in the supermarket) and then, when I have crave c.c cookies, I just slice off a few 1/2 inch pieces and bake them…it works great. 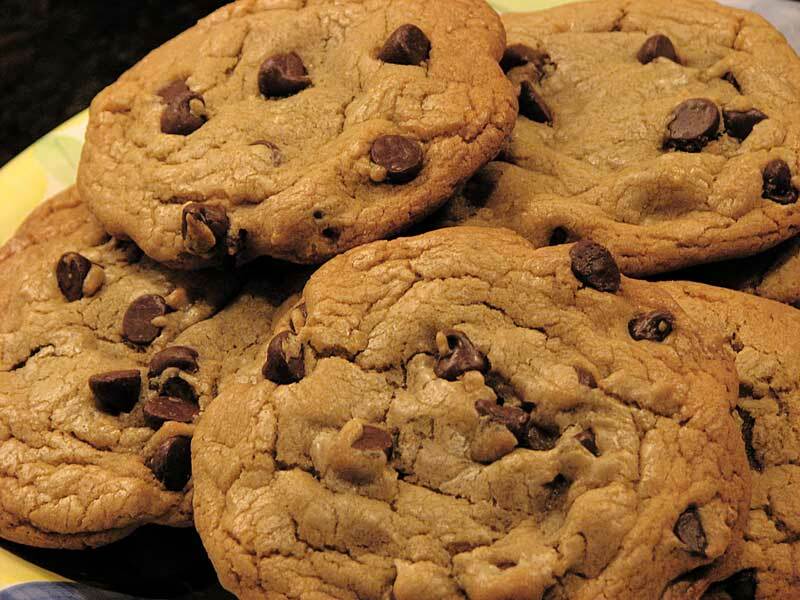 Check back here next week…I’m going to be posting a chocolate chip cookie recipe that’s really incredible…far and away the best c.c. cookies I ever tasted. If you get a chance, give them a try and let me know how you think they compare…thanks!